ScreenLight & Grip can provide complete feature packages consisting of Tractors with onboard Crawford Generators, 48' Production Flex Trailers, Crawford Tow Generators, 1-Ton Stakebeds, and 1/2-Ton Pick-Ups. With diesel fuel at historically high prices, it no longer makes sense to truck packages in from out of state. Why spend thousands of dollars on drivers, road accommodations, and fuel to bring a production package in from outside New England, when you can get competitive pricing and better support locally. As a local lighting and grip equipment rental and production service company we are in a unique position to give you a better deal than anyone else. To efficiently organize your equipment package, our 48’ Production Flex Trailer is outfitted with customizable rack shelving, oversized belly boxes, and modular equipment handling technology. 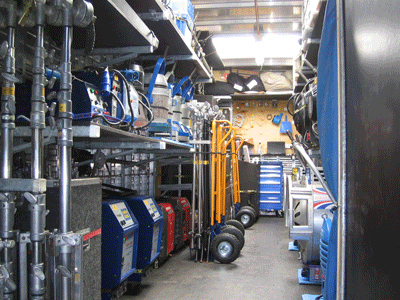 We can further outfit it with Backstage Equipment Carts, hampers (w/ oversized casters), muscle trucks; and we can stock it with a complete inventory of expendables. To make loading quick and easy, our Production Flex Trailer features an extra large power tailgate and an interior/exterior work-light system. 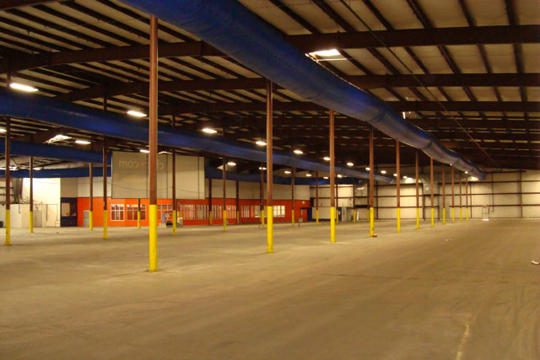 Efficiently deploying your lighting package can be a challenge without support vehicles. This is especially true in old New England cities where it is quite often difficult to get a production trailer close to set. 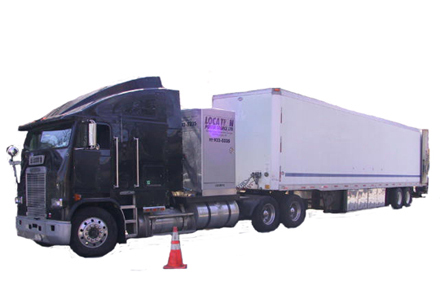 To deploy your package, we can outfit you with a production vehicle package consisting of Straight Trucks with onboard 1400A Crawford Generators, 1-Ton Stakebed Trucks with lift gates, ½ -Ton Pick Ups, and Crawford 1200A Tow Generators. 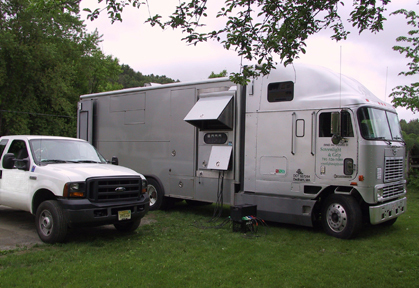 To provide a basic shooting crew package close to set when a trailer won’t fit, we can outfit your production with a 10-Ton Electrics Truck with an onboard generator. The sound blimped 1400A Crawford Generator on our 10-Electrics Truck can provide ample power close to set (where a trailer won’t fit), while its box provides immediate access to a package of equipment of the variety that would not be pre rigged - but, instead be required by the shooting crew at the last minute. 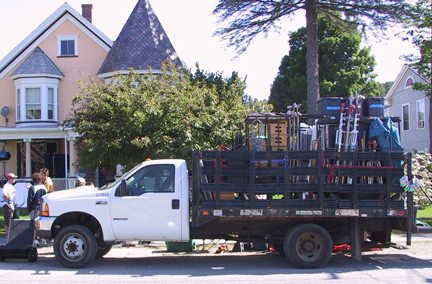 1-Ton Stakebed loaded w/ Grip Pkg. A 1-ton Stakebed is ideal for shuttling equipment from the trailer to set, carrying a satellite package, towing an additional generator, or dropping a rigging package at the next location. 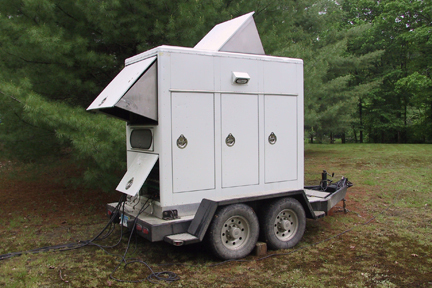 An additional tow generator will greatly reduce the amount of cable to run which can be a great benefit if you do not have the capacity to carry miles of cable, nor the rigging crew to deploy it. It also affords you priceless piece of mind knowing that there is backup if the primary plant goes down. The Tony & Ridley Scott (Scottfree) Feature: "Tell-Tale"
The Hallmark Channel Movie: "Moonlight and Mistletoe"
The Brendon Gleeson Feature: "Black Irish"
The MoodyStreet Picture's Feature "Shuttle"